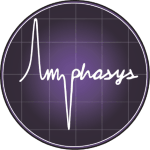 From September 14 – 15, 2018 the international Amphasys community gathered at Root D4 for the 4th edition of the yearly Amphacademy symposium. The scientific get together of experienced researchers and Ampha Z32 users offered a diverse agenda with scientific presentations and practical workshops. Presentations are available for download now.